Bald much? lol!. I bet if Heather was in this, she'd be horrified! LOL!. 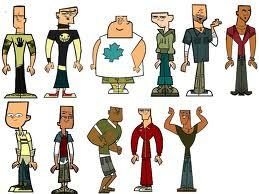 Wallpaper and background images in the トータルドラマアイランド club tagged: total drama island tdi. I bet if Heather was in this, she'd be horrified! LOL! This トータルドラマアイランド photo might contain ベル. Heather grew all of her hair back. Looks exactly what i did a year or something ago! ?